Gliding around on a foam roller is a bit like giving yourself a massage. It helps blood and lymphatic circulation; release tension from muscles; and encourages the ‘sliding surfaces’ within your body to move with more freedom. Those sliding surfaces are made up of a thin connective tissue called ‘fascia’. That connective tissue surrounds muscles, organs and bones. It is connected in such a way that tension held in one part of the body can be communicated or transmitted through the length of muscle groups and fascia to other areas. 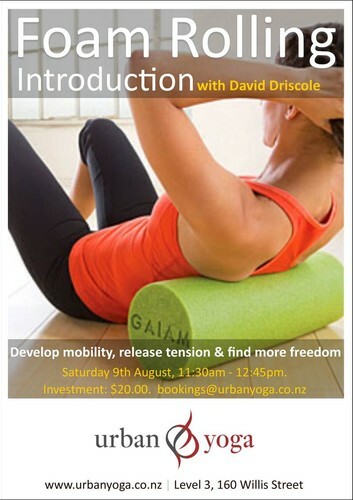 If you’ve ever purchased a foam roller and let it collect dust in the wardrobe, or you’ve always wanted to know what those people at the gym were doing, join us for this introductory session.